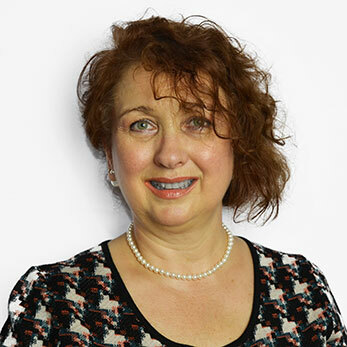 Dr Roberta Orton is an experienced consultant psychiatrist, and has worked for over 30 years blending her skills as a psychiatrist with training in psychotherapy. In the WeightMatters out-patient psychiatric service she can provide assessment and diagnosis of mental health conditions, and develop treatment plans to support you in finding balance with your mental health and physical wellbeing. Psychiatric treatment may include medication, some exploratory blood tests, or supportive work with our counselling, psychotherapy and nutrition teams. Dr Orton can provide psychiatric coaching and psychological interventions to help you accept and find ways to readjust to your changing mental health. Her treatment of mental health is done with empathy and compassion. When Should I Attend A Psychiatric Assessment? There are many reasons why you may come to see a psychiatrist. Transitions in life can be stressful, and you may struggle to cope with these negative life events if you lack certain coping skills. Often childhood bullying, neglect, abuse or trauma can be factors that limit you as an adult, and can make relationships more challenging, as you may be struggling with low self-worth and a lack of self confidence. You may also be struggling with an acute or chronic psychiatric disorder, and struggle day to day with your mental health and negative thinking styles. You may be experiencing some shame, embarrassment or guilt about seeking help for your mental health. These feelings may be heightened by the depression or anxiety associated with your presenting issue, and by the stigma, and certain stereotypes, about mental health. Please feel reassured that many people struggle with mental health, and that coming to see a consultant psychiatrist is like going to see any other medical consultant you may be referred to by your GP. The most important feature of successful psychiatric treatment of eating disorders, is the relationship you form with the psychiatrist. We value bringing empathy, positive regard, support, reassurance and care to all interactions with our clients. At the same time it is important to have firm boundaries, and to co-ordinate structured care within our team at WeightMatters. Obesity is a complex condition that has strong links to patterns of dysfunctional thinking, feeling and behaviour that are influenced by genetics, physical health and social-environmental factors. At some level, the brain is unable to properly regulate eating behaviour, and the result is weight gain. There are many factors going on in different parts of the body that may be influencing weight gain, other than just pure over-indulgence, such as the gut microbiome, and the adipose tissue already held in the body. This will influence your desire to eat, the way you consume nutrients and calories, and your ability to respond clearly to signals of hunger and fullness. Psychiatric management of obesity bridges the medical treatment with the psychological treatment of obesity, and can provide a structured treatment plan for working with the wider therapeutic and nutritional teams at WeightMatters.